(Bloomberg) -- Banco BTG Pactual’s Andre Esteves came to the defense of Economy Minister Paulo Guedes in one of his first public statements since his arrest in 2015. 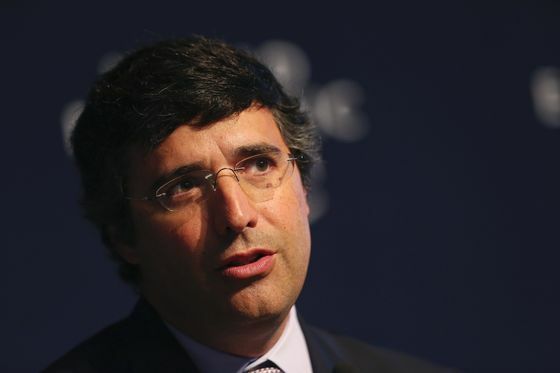 Esteves, once the public face of the bank he helped found, has gradually reappeared at events including this year’s World Economic Forum in Davos, but usually stays out of the spotlight, speaking only in private. On Friday he made an unusual departure from that low-key profile, taking the microphone when the moderator called for businessmen in the packed audience to comment on the economic agenda being discussed on stage. The 50-year-old banker has been back in the controlling group of the investment bank since December after being acquitted. His arrest in a corruption probe prompted BTG to unload more than $3.5 billion in assets and slash jobs in offices in New York, London and across Latin America, reducing its payroll in Brazil by more than 20 percent. He has always denied any wrongdoing. The bank has rebounded strongly since the troubles generated by the probe, with the share price rising more than four-fold since a low in 2017 to 38 reais. It currently has a market value of 33.4 billion reais ($8.6 billion). 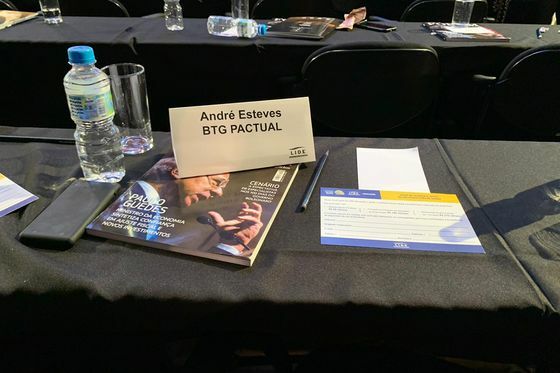 Guedes, who’s beloved by investors and was a founder at Pactual, which eventually became part of BTG, has taken over talks with Congressmen to push his make-or-break pension reform proposal. But his public debut in the lower house on Wednesday to defend the reform that would help put Brazil’s public finances back in order didn’t go so well. The University of Chicago-trained economist lost his temper on several occasions amid provocations from the opposition, and had to be escorted out by security as arguments turned into scuffles.